Custom Table Pad Giveaway with only 5 entries - ends 2/28! Need a Custom Dining Table Pad?? Wholesale Furniture Brokers is giving one away on Feb. 28th and there are currently only 5 entries! 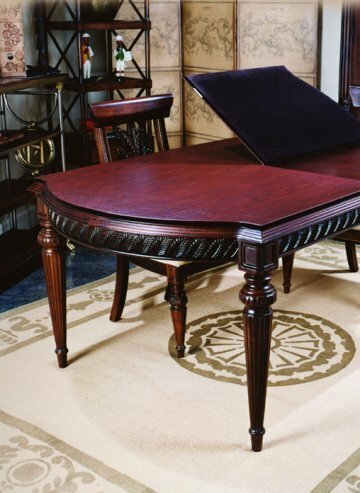 The table is manufactured by Ohio Table Company. You can enter with your Facebook profile or with a blog post. Here are the full contest rules. Winner gets a $229 Gift Certificate towards the purchase of a new table pad up to 120" in length and two table pad leaves. Please let me know if you win! !